This is a list of individuals who were born and lived in territories currently in Ukraine, both ethnic Ukrainians and those of other ethnicities. Throughout Eastern European history, Ukrainian lands were ethnically and culturally diverse, with a number of other ethnic groups living among the Ukrainians. Originally united with Belarus and Muscovy under the state of Kievan Rus', a schism took place after the Mongol invasion, as the Muscovite lands stayed under Mongol/Tatar rule for another century and Ruthenian (Ukrainian/Belarusian) lands were taken over by the ascendant Duchy of Lithuania, as it helped Ruthenians drive out the Mongol invaders. During this time a language separate from Old East Slavic evolved on the territory of the progenitor Russian principality Muscovy, while a Ruthenian language continued evolving on the territory of central Kievan Rus' (Ukraine and Belarus), whose people were known as the Ruthenians. While Muscovy stayed under Mongol control for over a hundred years, it absorbed much Mongol vocabulary, thus separating modern Russian from modern Belarusian and Ukrainian. Lithuania's unification with Poland into the Polish–Lithuanian Commonwealth further added a Polonization factor to most of Ruthenian lands. In the 1930s, the Holodomor and the Stalinist purges decimated the Ukrainian population in eastern Ukraine. As ethnic Russians were brought into areas depopulated of Ukrainians, this led to increased Russification in the east of Ukraine. Although Ukrainians have always been the largest ethnic group in Ukraine, ethnic Ruthenians were mostly a rural people and often became the minority in the cities and towns that we growing on their ethnic territory. For example, due to the imperialistic anti-Ukrainian policies of the Russian Empire and Moscow's Communists, Kiev by the 1920s was approximately 1/3 Jewish and 1/3 Russian, with the remaining third constituting ethnic Ukrainians, Poles, and Germans. In dictator-ruled Poland between the World Wars, similar anti-Ukrainian policies were implemented. For instance, a similar demographic situation emerged in Lviv where the population was dominated by Poles and Jews. However, during the Second World War, the Jewish population of Ukraine was virtually eliminated by the Holocaust instigated by the Nazi Germany, as well as due to Jews fleeing the German invasion, mostly eastward towards Russia. Although many Jews returned to Ukraine after the war and some moved there from other Republics (due to educational and career opportunities in Ukraine), ethnic Jews never regained their proportion of the pre-War population in Ukraine. The majority of the remaining Jews left for the United States, Israel and Germany in the decades immediately prior and after the fall of the Soviet Union. Oleksandr Mikolaiovich Sharkovsky (born 1936), most famous for developing Sharkovsky's theorem on the periods of discrete dynamical systems. Mykhailo Vashchenko-Zakharchenko (1825–1912), major areas of research included the history of geometry in antiquity and Lobachevskian geometry. Ivan Śleszyński (1854–9 March 1931), ethnic Polish Ukrainian mathematician. Naum Z. Shor (1937–2006), Jewish Ukrainian mathematician. Vladimir Drinfeld, Fields medal laureate. Maryna Viazovska (born 1984), solved the sphere-packing problem in dimension 8 and, in collaboration with others, in dimension 24. Bohdan Hawrylyshyn (born 1926), noted economist, visionary and an economic advisor to the Ukrainian government. Daria Werbowy, Polish-born Canadian model of Ukrainian descent. Isaac Stern (1920–2001), American-Jewish, born in Kremenets Poland (now Ukraine), violinist. Leo Ornstein (1895–2002), Ukrainian/American-Jewish composer and pianist. Eugene Hutz, lead singer of the Gypsy Punk band Gogol Bordello. Ruslana, pop singer, composer, songwriter, conductor, dancer, record producer, pro-Western, singer and winner of the 2004 Eurovision contest. Vasily Grossman Ukrainian-Jewish, born in Berdichev in 1905. Dedicated his lives' writing to the three most terrible pages of 20th-century history: the siege of Stalingrad, the Shoah, and the Terror Famine which today is referred to as the Holodomor. Best known for Everything Flows, Life and Fate. Yaroslav Halan, anti-fascist playwright and publicist, assassinated by nationalist insurgents. 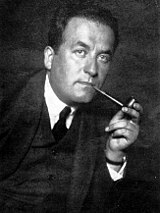 Ostap Ortwin (1876–1942), Polish-Jewish journalist and literary critic. Nikifor Grigoriev, otaman and leader of a Ukrainian insurgent "Green Army"
Nestor Makhno, commander of "Black Army"
Maria Nikiforova, only female commander of an anarchist cavalry detachment, the "Free Combat Druzhina". Andriy Livytskyi, President of the Ukrainian People's Republic in exile (1926–1954). Mykola Livytskyi, President of the Ukrainian People's Republic in exile (1967–1989). Grigory Yavlinsky, liberal economist and leader of the Russian political party "Yabloko". Archduke Wilhelm of Austria, known as "Prince Vasyl"
Patriarch Volodomyr (Romaniuk), Patriarch of the Ukrainian Orthodox Church of the Kievan Patriarchate. Paisius Velichkovsky, monk, spiritual writer, the founder of modern Eastern Orthodox staretsdom. Andriy Sheptytsky, head of the Ukrainian Greek Catholic Church, Metropolitan Archbishop of Lviv (1900–1944), political victim of the Soviet Union and was proclaimed as the enemy of the state. ^ "Normanist theory". Encyclopediaofukraine.com. October 24, 1975. Retrieved January 28, 2011. ^ "Myron Korduba". Open Library. Retrieved January 28, 2011. ^ "The Odessa Numismatics Museum". Museum.com.ua. Retrieved January 28, 2011. ^ Congress, World Jewish. "World Jewish Congress". www.worldjewishcongress.org. Retrieved 2019-02-25. ^ "Hinchey got to Washington via the Thruway". recordonline.com. Retrieved 2016-01-19. ^ "Stephen J. Jarema, 83, Former Assemblyman". The New York Times. 1988-07-26. ISSN 0362-4331. Retrieved 2016-01-01. ^ OLKHOVSKIY, Ruslan V. "Build Ukraine". www.artukraine.com. Archived from the original on 2013-10-06. Retrieved 2016-02-01. ^ "Ukrainian-American Councilman Mark Treyger Blasts Russia's "Intimidation"". NY Daily News. Retrieved 2016-01-20. ^ Beverley Smith, Dan Diamond (1997). A Year in Figure Skating. McClelland & Stewart. ISBN 0-7710-2755-9. Retrieved July 1, 2010. ^ Peshkhatzki, Motti (June 9, 2006). דינמו קייב לבית"ר: 220 אלף דולר על אנדריי אוברמקו (in Hebrew). Retrieved July 6, 2008. ^ "Jews in Sports: Table Tennis". Jewish Virtual Library. Retrieved May 25, 2010.